Arthas Menethil, Crown Prince of Lordaeron and Knight of the Silver Hand, was the son of King Terenas Menethil II and heir to the throne. He was trained as a paladin by Uther the Lightbringer, and had a romantic relationship with the kind sorceress Jaina Proudmoore. 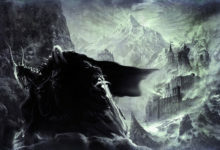 Despite his promising beginnings, Arthas became one of the most powerful and evil beings Azeroth would ever know. 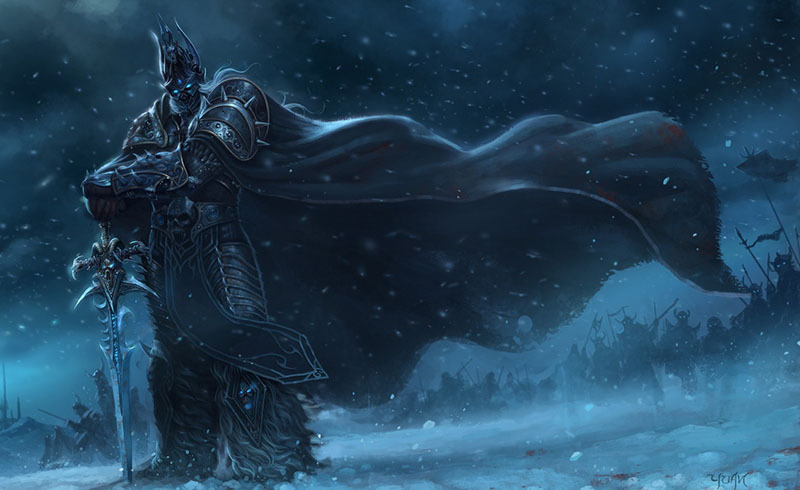 Taking up the cursed runeblade Frostmourne, he became a death knight, led the Scourge in destroying Lordaeron, and merged with the Lich King. 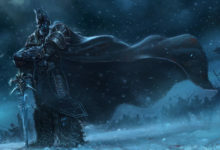 Ruling as the dominant personality of the Lich King for years afterwards, Arthas was defeated in combat by adventurers of the Alliance and the Horde. 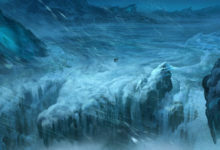 Cradled by the spirit of his father, King Terenas, Arthas Menethil died, leaving the mantle of the Lich King to be taken by a noble soul who would contain the power of the Scourge. This is the 1st Column. Prince Arthas Menethil was born by Lianne Menethil to King Terenas Menethil II, four years before the start of the First War and is their youngest child. The young prince grew up in a time when the lands of Azeroth were ravaged. This is the 2nd Column. As a youth, Arthas was trained in combat by Muradin Bronzebeard, the brother of the dwarven king Magni Bronzebeard, and became an adept swordsman. Under the tutelage of Uther the Lightbringer, Arthas was inducted into the Knights of the Silver Hand at the young age of 19. 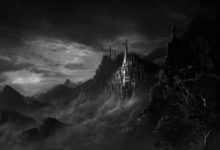 The ceremony was held in the Cathedral of Light in Stormwind City, and it was then that Arthas was given the holy mace called Light’s Vengeance. Despite his rash and headstrong behavior, Arthas became a renowned warrior. One of his more famed exploits was counterattacking a group of forest trolls striking at Quel’Thalas from Zul’Aman. 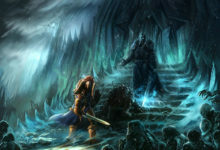 It was during this time that Arthas met the youngest daughter of Daelin Proudmoore, the sorceress Jaina. 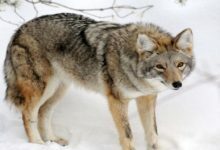 Over the years, they grew close as friends, and then romantically. They were very much in love with one another. 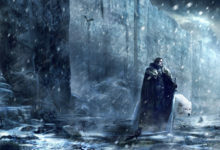 But, eventually Arthas would question whether the two of them were ready to be together. Arthas would abruptly end the relationship so Jaina could focus on her magical studies in Dalaran and Arthas could focus on his commitments to Lordaeron. Shortly after, they would agree to rekindle their romance, but this was during the beginning of the Scourge invasion that would change both of their lives forever. Troubles began to stir in Lordaeron. 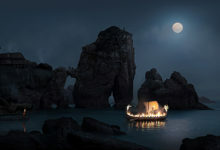 Orcs broke free of their internment camps, and there was distressing news of a plague that had gripped the northlands. 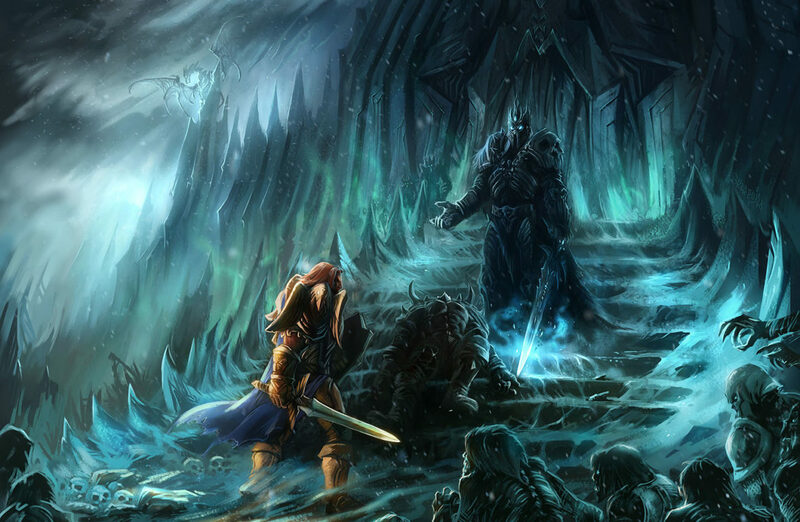 Arthas and Uther were sent to Strahnbrad to defend the town from orcish raids. 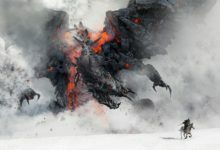 The young prince defeated the black drake Searinox to retrieve its heart for the dwarf Feranor Steeltoe to forge into an orb of fire. Arthas used this magical item to kill the Blackrock Clan’sblademaster leading the raids. © 2019 copyright Pluriversum Edizioni. All rights reserved.